Me getting after it in the gym! My name is James McAra and this is my site. It all started because I wanted to become stronger, faster and better at the things I love. I am keen martial artists who enjoys training Muay Thai and Brazilian jiu-jitsu every week. 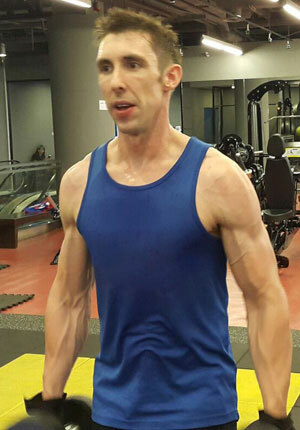 I have also been doing strength training/bodybuilding for over 10 years. My other interests include swimming and rock climbing. As I reached plateaus with strength and stamina one of my friends introduced me to sports supplements and then made a huge difference. This site then focuses mainly on reviews of the best supplements I have tried. It also explores the research, facts around muscle, fitness and peak performance. If there is anything you would like me to write about, click the contact link in the menu or footer and let me know. Also, if you have any opinions on my reviews and articles, please leave a comment in the section at the end. I will try to answer all your questions personally.